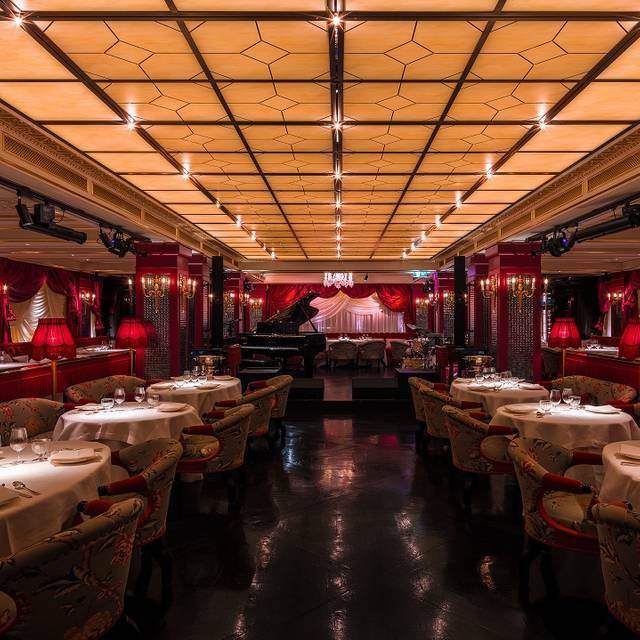 Behind the intriguing red doors is Park Chinois, a luxury restaurant and live entertainment venue that pays homage to 1930s Shanghai. 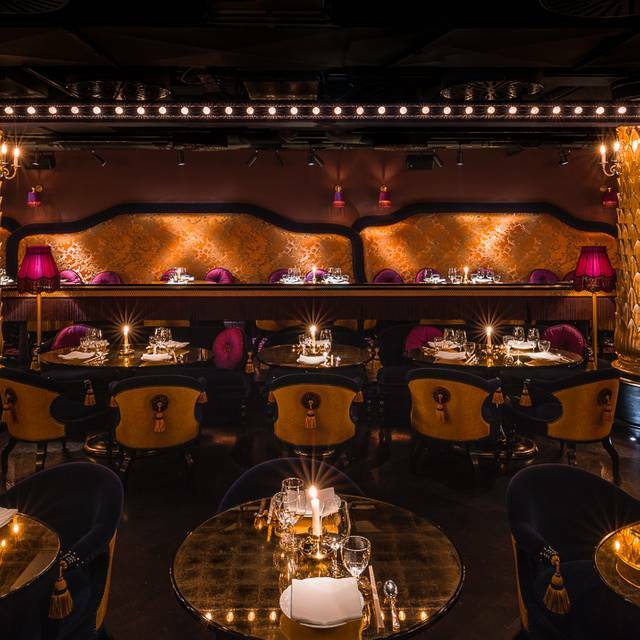 Bold Chinese cuisine, an extensive cocktail list and a mischievous cabaret make for a unique experience. 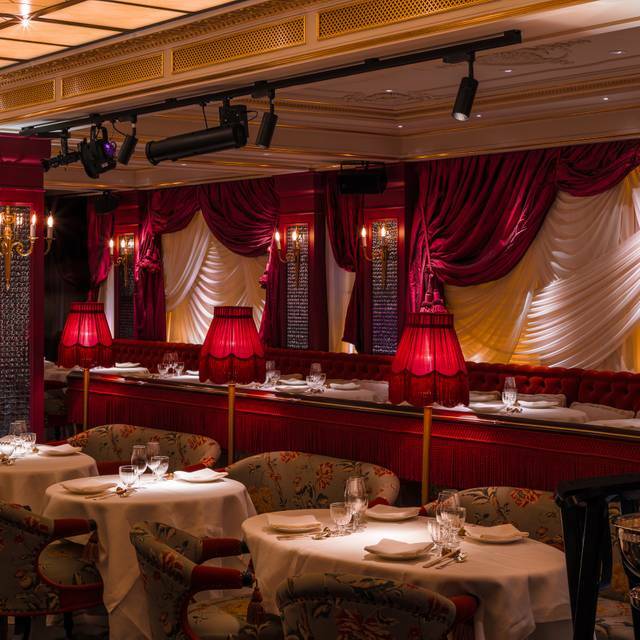 Park Chinois is split into two dining areas, Salon de Chine and Club Chinois. 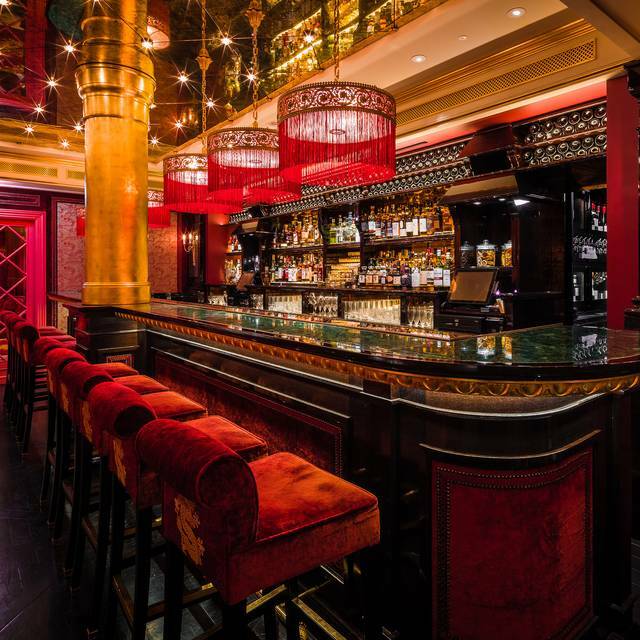 Salon de Chine is the stunning ground floor restaurant, serving lunch and dinner daily or pop into bar for drinks and dim sum from 12 to close, each day. 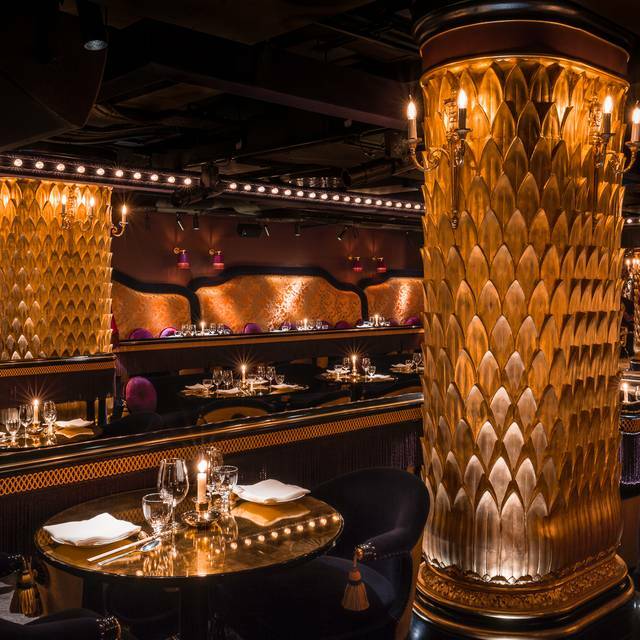 Located on the lower floor is the enchanting Club Chinois, a cabaret and dining experience to engage the senses. Dinner, drinks, entertainment and late night DJ's every Wednesday to Saturday night. 2 or 3 course lunch with a glass of wine or craft beer. Lunch only, dine from set-menu and choose from a glass of house wine, or beer. Soft option available instead of beer or wine but excludes mocktails. Offer cannot be redeemed in conjunction with any other offers or discounts. Every Sunday to Thursday, book a table between 6pm and 7:30pm and enjoy a signature cocktail on the house. Late diners, enjoy a cocktail the house, on all bookings after 10:45pm on a Monday, Tuesday and Wednesday night. Offers cannot be redeemed in conjunction with any other offers or discounts. 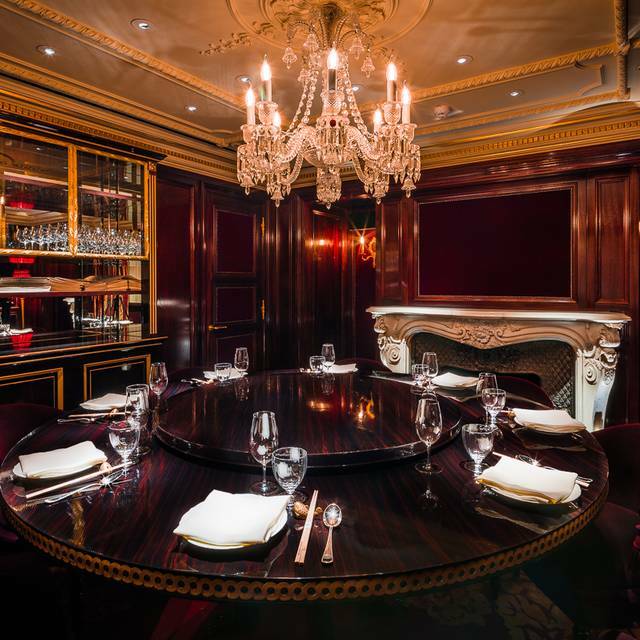 One accepts that a 'lux' Chinese restaurant in Mayfair isn't going to be cheap; but in addition to the steep food prices, it was the wine list pricing that really annoyed me. As well as 400%+ mark ups, they have the cheek to charge an additional 15% service charge, (which of course includes wine!). SO - a magnum of the very reliable Pieropan La Rocca, which can be found for £50-£60 was £230 PLUS 15% = £264!!! BTW - When did 15% inclusive service charge become the 'norm'? The truffle rice was burnt so I couldnt taste anything because of the burnt rice. maybe the chef was having a bad day! Hope it doesnt happen again. Food is great and delicious, albeit slightly overpriced in my opinion. Interior decoration is very impressive. Service is a 4 because while they ticked all the basic boxes, our server was not very well informed about the menu and could barely answer any of our questions regarding the dishes. They also have an air of arrogance (in particular the guy in the white suit, who I believe is the manager) and did not exude the warmth and sincerity you'd expect from a high-end restaurant like theirs. Would go again thought because the food and ambience is good. Hi, glad you loved the entertainment and atmosphere! Hope to see you back in the restaurant one day. Very nice evening and the service was very good. Food was very good too, however the bill was up there with a Michelin star meal and really it felt a little expensive for what it was. Good if you are feeling flush. Nice place, starters amazing, main food average, but very very very very expensive!!!! Thanks for feeding back, like a lot of busy restaurants we do have a 2 hour seating and whilst we try and be as flexible as possible, we do also have to balance that with guest bookings. However, I'm sorry that you felt like you were rushed off during your meal, that is certainly not the intention. Thank you for letting us know and for also taking the time to let us know that the food was fabulous. Went for birthday celebrations. It is expensive but the food was unique. There was a live band the extra cover charge was an unexpected add on the bill! The service was great! Would recommend as a treat! The restaurant itself is beautiful and has potential to be a nice dining experience. However, the food and service here is some of the worst I have experienced thus far in London. Not only was the food subpar at best, the service was abominable. Our waiter would disappear for 15 minutes at a time and it was impossible to find someone to bring us more water. You would receive better service dining at Pret a Manger than here. For the amount of money they charge for their food, I am beyond disappointed with my experience. Won’t be returning ever again. Excellent will be back for certain. 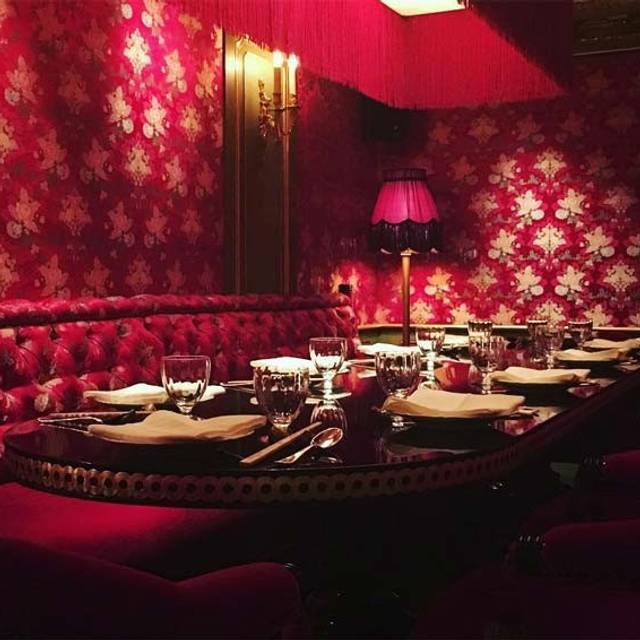 Thanks Monica, we're glad you had a great time and look forward to having you return to Park Chinois. The additional service charge (15%) when other high end restaurants is 12.5% is quite offensive especially as the service is no better than other restaurants. It’s also quite poor that they add a £10 per person fee to the bill because they offer live music, this isn’t stated anyway and you can’t opt out of it if you so wish. Service was great, Food arrived in good time. Staff were amazing. Overall a great dining experience. Superb evening. Delicious food, excellent service, very large menu and live music. We’ll be back very soon. Great set price lunch menu as a la carte very pricey. Not that busy on a Friday lunchtime with 3 friends so noise levels good. Service prompt. Food excellent. We enjoyed vegetarian dim sum, normal dim sum, and octopus. Mains we chose were wild sea bass, duck, and sweet and sour chicken. The latter 2 very traditional chinese style, very tasty, quite heavy though. But we all cleared our plates. They don't serve much green veg but a good size portion of egg fried rice. We stuck to tea - £7 each but they do refill! They serve little jellied sweets as birthday dish. Would rcommend. My friends all really enjoyed it and as it was quiet they let us stay chatting til after 5pm! Booked this for my husbands big birthday. The food, ambience and entertainment was excellent however we felt very underwhelmed by the service in the restaurant. The waiter was hesitant to recommend dishes, saying everything was nice. The food would be brought out from the kitchen only for somebody to stand and hold it at a nearby table for a few minutes before it was brought to us. Our drinks were not topped up at all and the transition between courses required a wait for 15 minutes to clear the table once we had clearly finished eating. Perhaps they were very busy and the waiter was new, but for the amount we paid and the service charge of 15%, I found the service in the restaurant sub standard compared to others within this calibre of restaurants. Went for Chinese New Year. Website advertised a set menu to experience a wide range of dishes - wasn’t available on arrival. Waiter didn’t believe me, said they “don’t do deals” - the online menu was £130 - not exactly a deal! Then forgot one of our starters, and forgot our tea and coffees we ordered at the end of the meal. The food was good but not great, and considering the cost of £300+ for two people, nowhere near good enough. 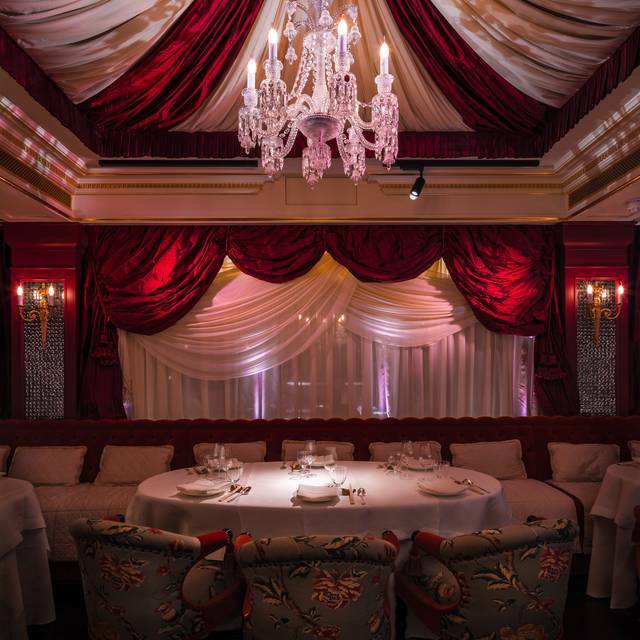 Its a special place to wine and dine someone your truly love or appreciate. The table set up around the perimeter upstairs, slightly raised flooring, with a stage for musicians and seating for diners in the middle provides a good way to pend a couple of hours and a bit. Food prices are reasonable considering the location and the choice of wines and fizz is perfect in enjoying a night out. 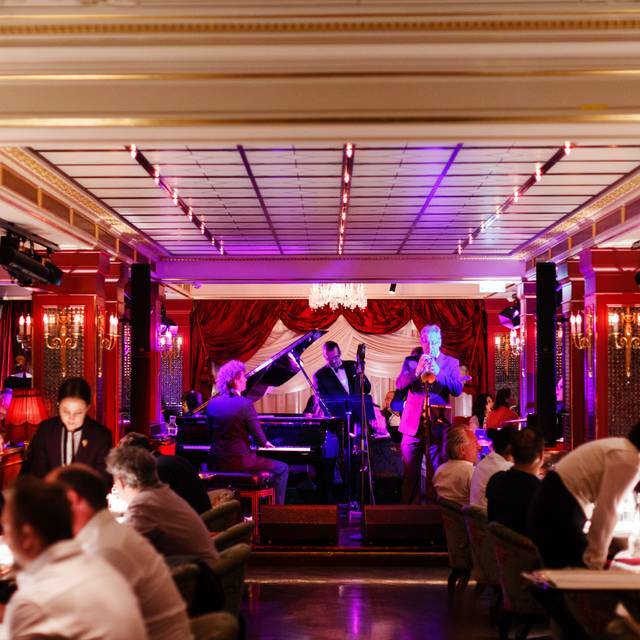 Compared to China Teng which I frequented quite a bit when considering Chinese cuisine, Park Chinois comes out much better. I discovered late that they also do Cabaret downstairs and from the 5 minutes I spent at the bar said to my guest that if we were to come again we should look to book a table downstairs. One negative was the bar staff downstairs were to busy and pre-occupied with orders to the point I was left standing with no one to serve us. That disappointment led to us leaving rather than staying. Service was terrible, food extremely overpriced, waiter completely messed up order didn’t even apologize or offer any compensation. We were asked to leave our table new though he messed up the order and we were eating still as a result. They also charge a hidden cover fee for the live entertainment which no one tells you about. Hi Anne, this certainly doesn't sound like the kind of experience that we would want our guests to experience. Apologies that your experience was not up to scratch. We'll feed this into the team and aim to find out what went wrong, thank you for letting us know. Excellent Food at a very nice environment although more expensive than it should have been. Myself and the wife treated ourselves for our anniversary. Knew it would be pricey but it was a special occasion so didn't mind. Nice venue, quiet on arrival but soon got busier. Some of the dishes was really nice, and some was just seriously average. As I said earlier I knew the bill wouldn't be cheap but wouldn't say the food justified the cost. Our waiter provided very good service and we caught the beginning of the musical jazz entertainment. Don't know if we would return but enjoyed our time regardless. It was an experience. The manager has promised to send a form to my email and nothing happen till now while the reason of avoiding the garlic was very serious which is allergy. The service was very slow as we have asked for the lemon,soya sauce, knife and fork and the receipt twice. We have complained then they have deducted the service fees from the invoice. We had a great time! The staff was amazing from the moment we were greeted at reception. We went for my wife’s birthday and will definitely be back! Roberto from Ischia, a small island near Capri / Napoli, served us and his recommendations made the experience wonderful. The prawn Cheung Fun, the truffle dim sum, the delicious cocktails. This is now one of my favourite three places in London, if not the favourite! The waiters were nice, the food was great. Also the music was fun. The Best restaurant in London lately. I used to love this restaurant - sadly it has slightly gone downhill. Don't have the set menu as they look at you like you are trash. Sorry I didn't want the £98 duck! A gin and tonic with 'house' gin £20....although this was the best bit of the whole experience. Mixed beautifully. I am very disappointed as it was for a girls lunch and it left a very nasty taste in our mouths; to be looked at like dirt. I don't need to be sneered at. Its a fabulous looking restaurant and every time I have been before its been great.